The Eastern family of churches, today called the Oriental Orthodox and Eastern Orthodox churches, go back to the very earliest days of Christianity. 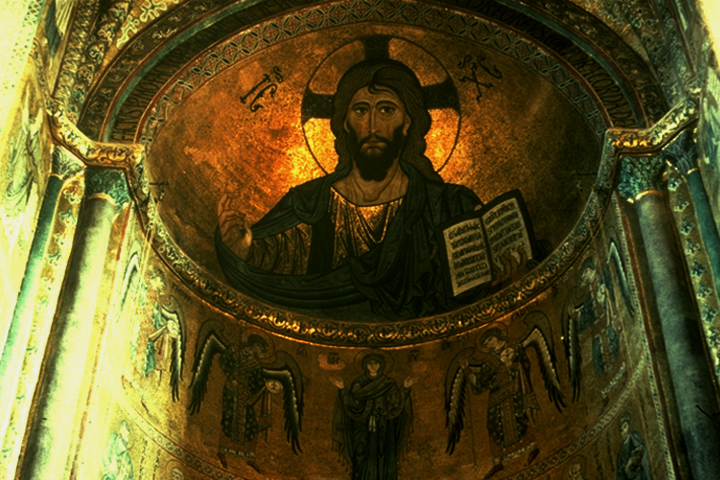 During the first four centuries of the Christian era, Christianity had spread not only into the Roman and Byzantine Empires, but also into the present-day Middle East, North Africa, and India. They were united through a pentarchy that revered patriarchal sees in Antioch, Alexandria, Constantinople, Jerusalem and Rome. Following the Council of Chalcedon in 451, however, the Christological controversies led by Nestorius and Cyril influenced the first major fissure in the Church. 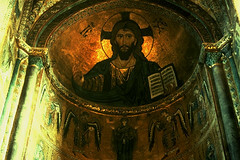 The Oriental Orthodox Church rejected the decree that the nature of Christ is equally human and divine. Christians of Egypt, Ethiopia, Syria, Armenia, India, Iraq, and Iran either formally followed these men into schism or quietly fell off the Greco-Roman radar due to vast distances and difficult terrain. Many of these communities would later become known as the Oriental Orthodox churches. Furthermore, in the centuries that followed, the growing estrangement between the Roman and Greek Christians eventually led to the second major schism of 1054, which led to a crisis point as the Pope of Rome and the Patriarch of Constantinople excommunicated each other. The institutions headed by each became known respectively as the (Roman) Catholic Church and the (Eastern) Orthodox Churches. The distinctive theologies and liturgies of the Orthodox churches has continued into the twenty-first century. One particularly characteristic theological stance of the Christ event, for example, is the emphasis upon the incarnation of Christ as a means to raise human nature to the Divine. As Athanasius put it in the fourth century, “the Son of God became man so that man might become God.” This emphasis on theosis, “becoming divine,” stands in contrast to the heavy emphasis on human sinfulness present in much of the theology of the Western churches. Monasticism was an important part of the early church tradition, as devout men and women left urban life and the growing institutions of the church for a life of devotion to God in prayer and simplicity. Monastic life began as early as the fourth century, with St. Anthony and the Desert Fathers of Egypt, in whom both Eastern and Western traditions of monasticism find their source and inspiration. As Eastern monasticism developed, it included both communal and solitary religious life and emphasized physical austerity. From these early centuries onward, the Eastern traditions also developed practices of inner contemplative prayer called the “prayer of the heart” and the “Jesus prayer.” These forms of concentration and breath-centered prayer have been preserved in the spiritual treasury of the church to the present day. As part of a rich spiritual and liturgical traditions, the Orthodox churches also developed the distinctive use of pictorial icons of Christ, the Virgin Mary, and the saints. These icons were understood to be windows into the sacred meaning and presence of these figures, not mere representations of them. The second council of Nicaea in 787 affirmed the role of icons in the face of virulent criticism from those who objected to any visual images in worship. During the seventh century, Christianity encountered the challenge of Islam, a new religious tradition which gained ground in Palestine, Syria and Egypt, and from Anatolia to Spain. The great Dome of the Rock mosque was completed in Jerusalem in 692. Eight centuries later, the Byzantine Empire, centered at Constantinople, fell to the Ottoman Turks in 1453. The great centers of Orthodoxy, including Constantinople, became centers of Islamic rule, and its great churches became mosques. For hundreds of years, the encounter with Islam has been of significance and immediacy for Oriental Orthodox and Eastern Orthodox churches. 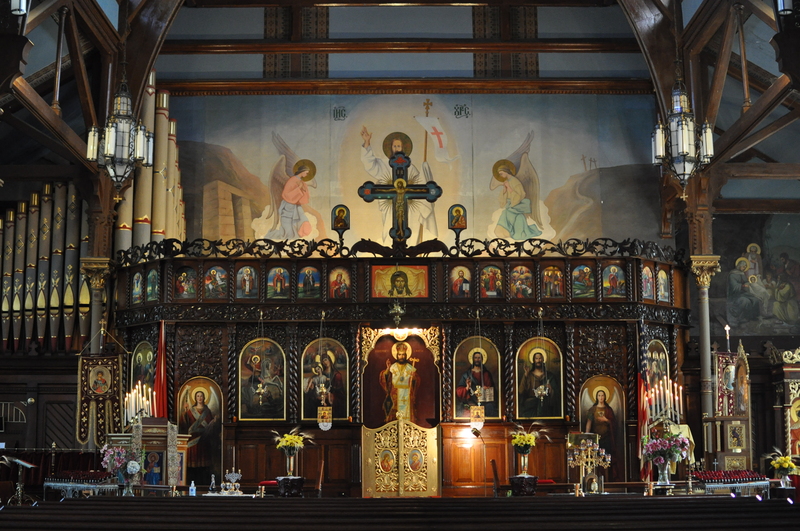 Today, the Eastern Orthodox churches constitute a family of related churches, including the Greek, Russian, Bulgaria, Romanian, and Syrian churches, each with a rich history and distinctive liturgical forms. Oriental Orthodox churches include the Armenian Apostolic Church, the Coptic Church of Egypt, the Ethiopian Church, the Eritrean Church, the Church of St. Thomas in India, and the Jacobite Syrian Church of Antioch. 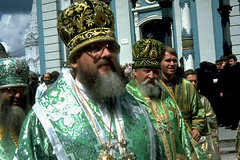 In 2001, a council of bishops representing both the Eastern Orthodox and the Oriental Orthodox churches declared their Christologies effectively consistent, citing linguistic and political factors for the historical disagreement. While the Eastern Orthodox and Oriental churches are not yet in full communion they, like the Eastern Catholic churches—those who are in communion with Rome but who follow Eastern traditions of worship—share very similar theology and practices. Reconciliation efforts continue today and the religious landscape of early twenty-first century America includes the presence of most of the churches of the Oriental Orthodox and Eastern Orthodox family.